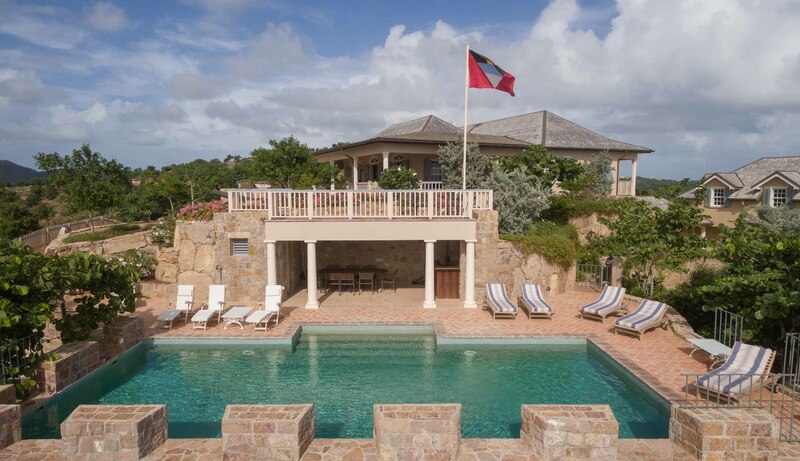 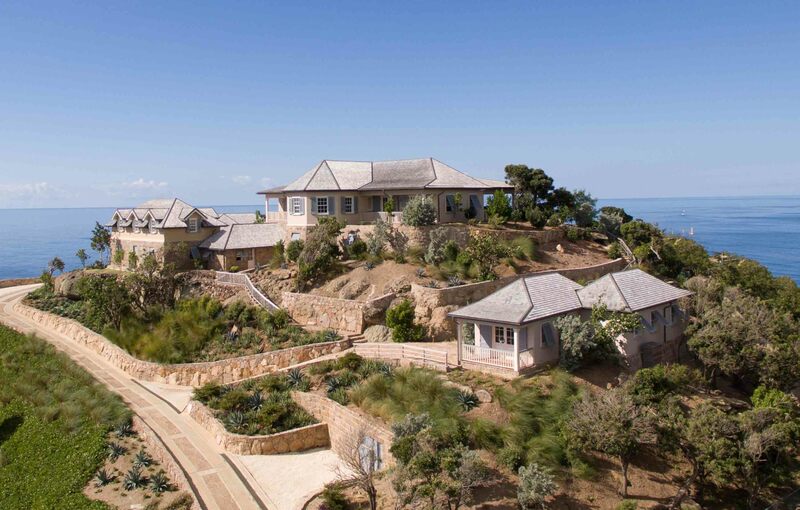 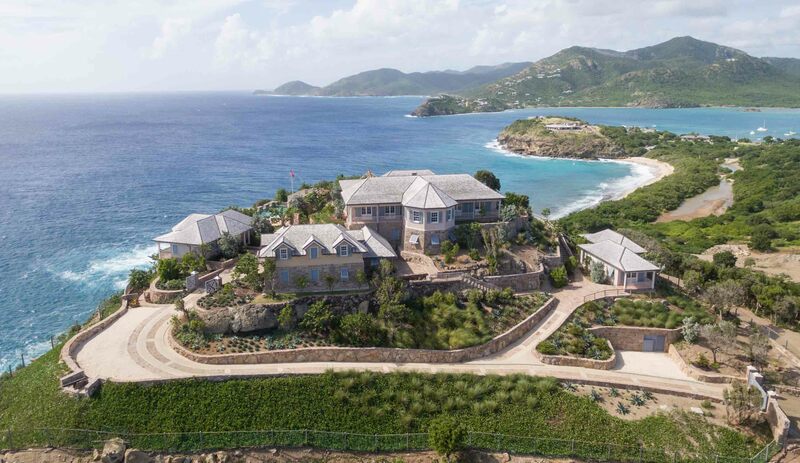 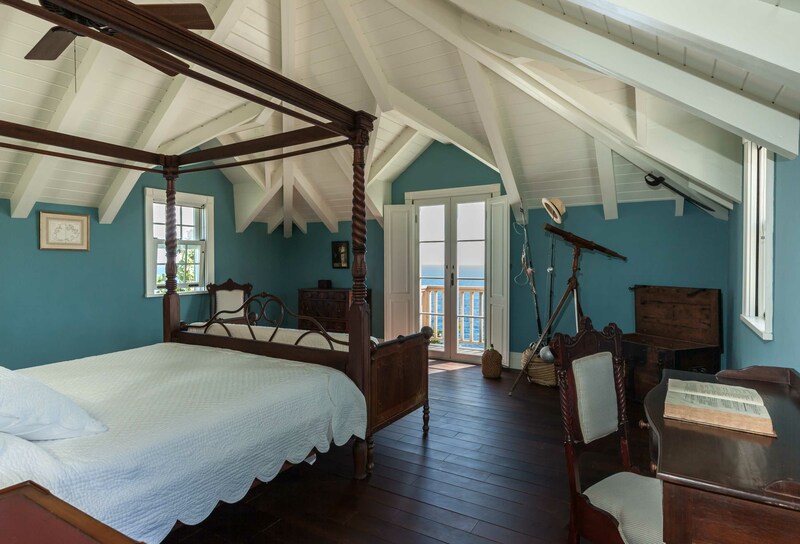 8 Bedrooms – An elegant recently built home perched high above Falmouth Harbour, Pigeon Beach and Galleon Beach, and directly across from Shirley Heights Lookout, the villa was built to fit into the local historically rich environment of Nelson’s Dockyard and the National Park and the remains of strategic military installations, recently inscribed on UNESCO’s World Heritage List. 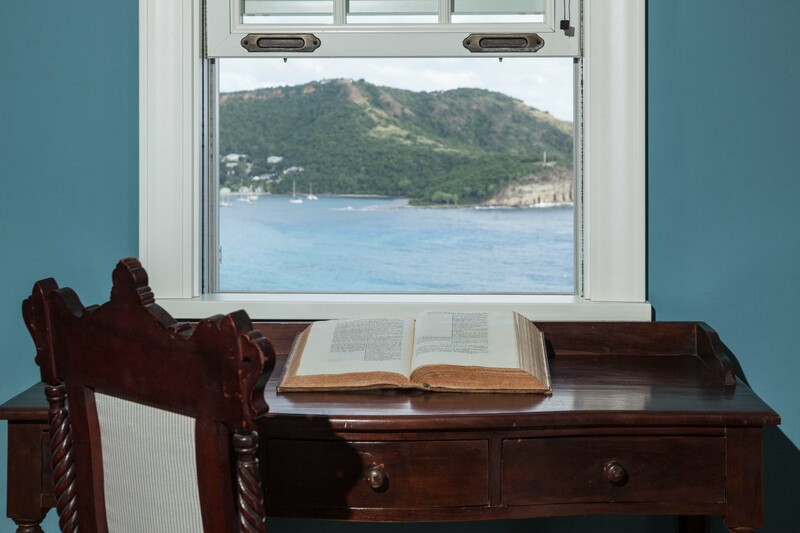 English Harbour is located on the south coast of the island, and offers something for all ages. 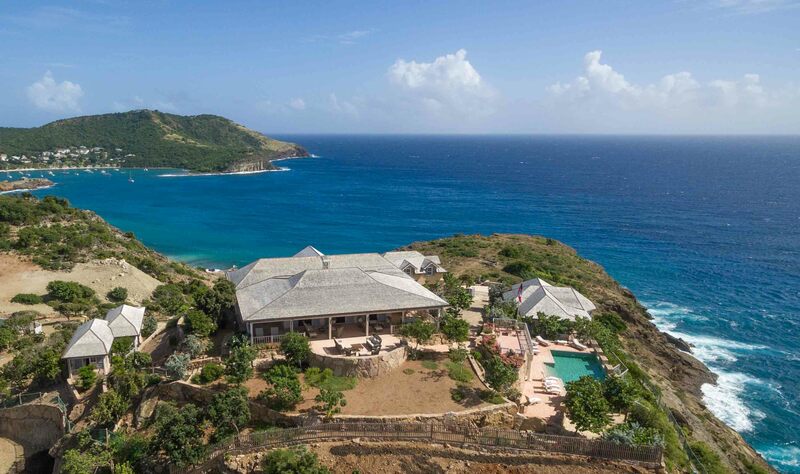 The activities available nearby includes scuba diving, fishing tours, boat rentals, sailing, tennis and horseback riding. 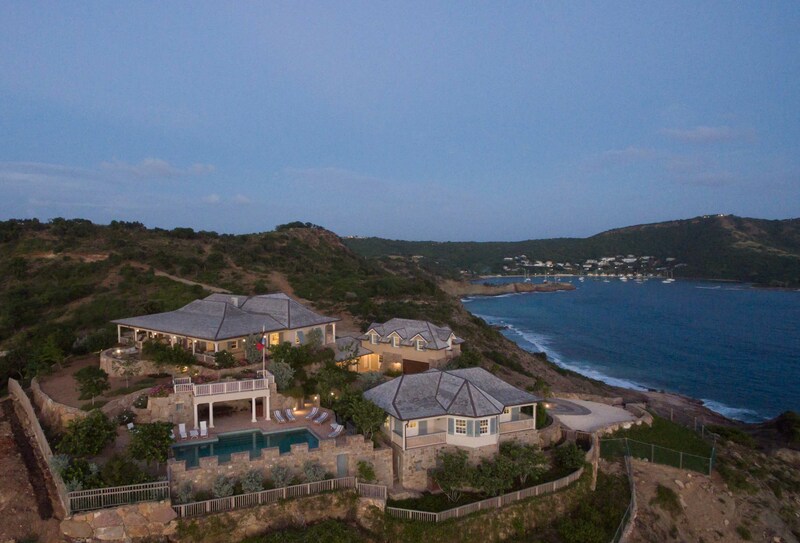 Numerous restaurants, bars and clubs are located at English Harbour. 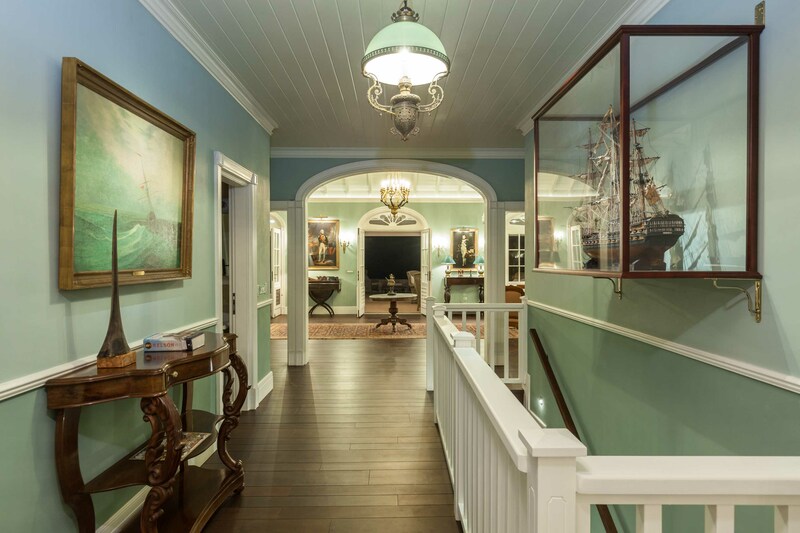 Upon entering this unique property, you will be astonished by its 18th century replication both on the interior and exterior. 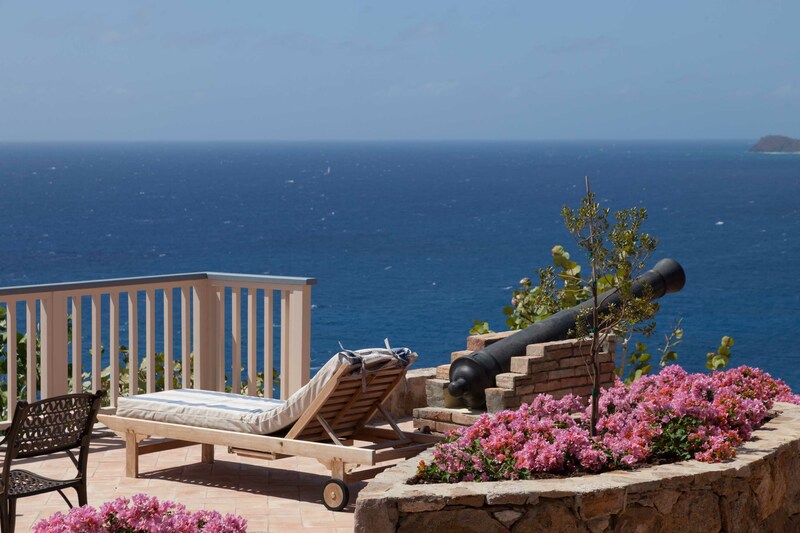 Identical replicas of cannons from the 18th Century French Frigate “Hermione” are strategically positioned at the entrance and above the poo to salute the entry of the Dockyard. 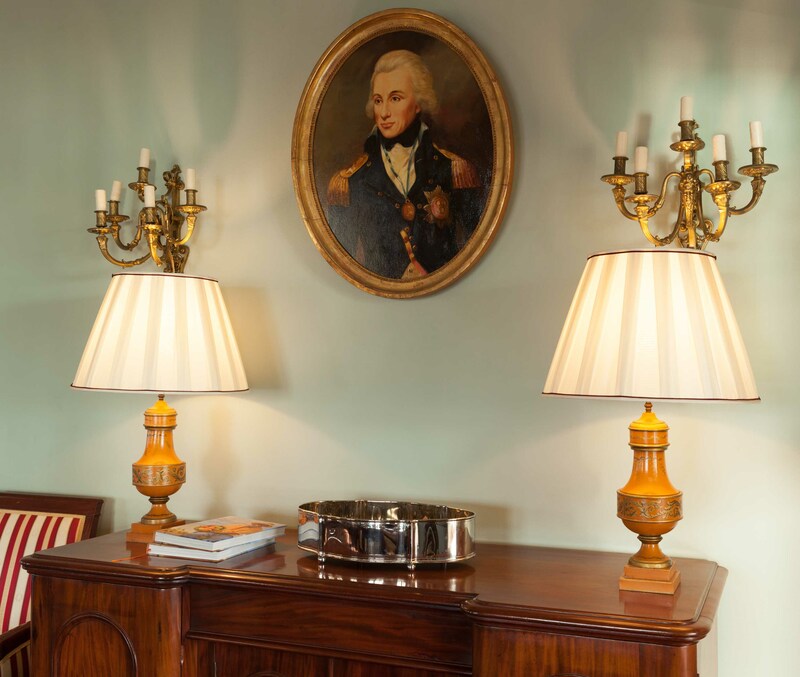 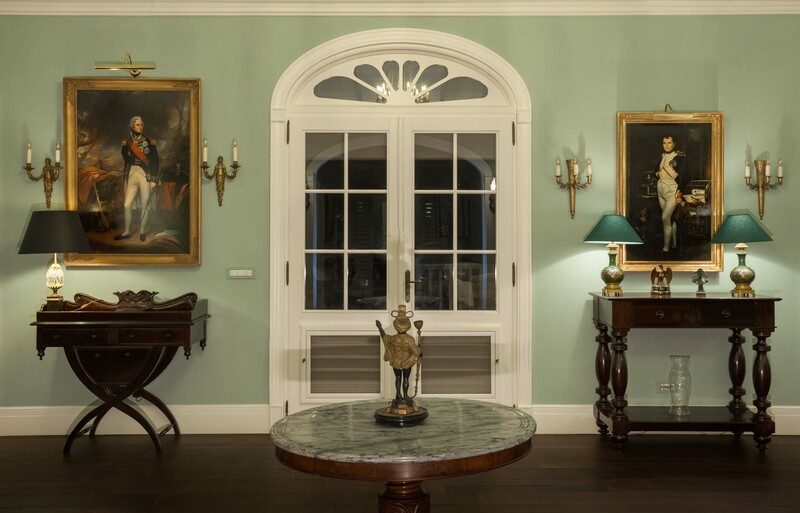 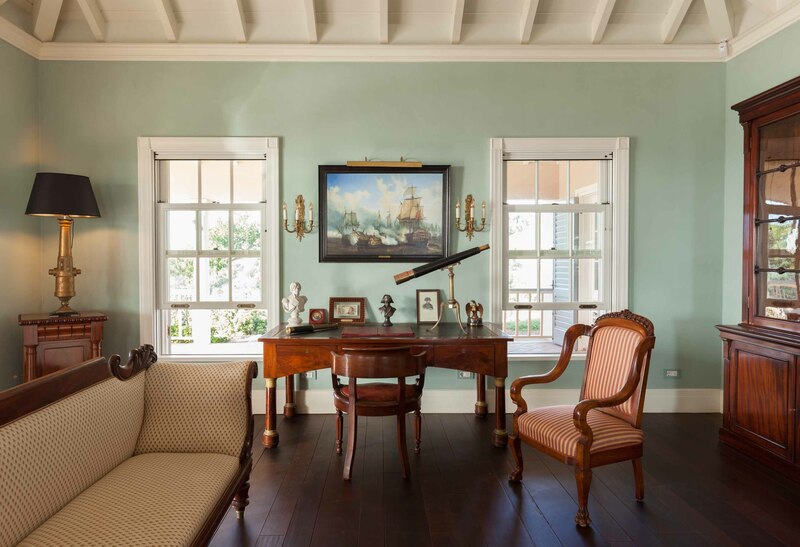 On the inside of this modern 18th century style home selected decor, fixtures, lighting, and paintings were carefully chosen and placed to depict a typical house of this period. 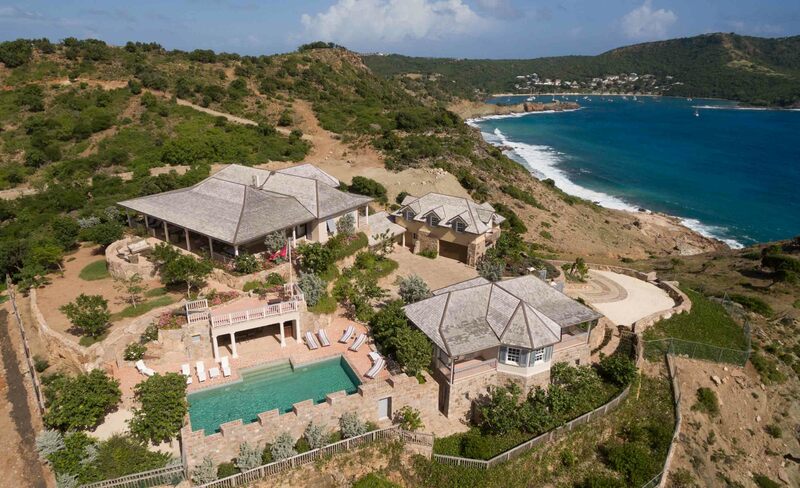 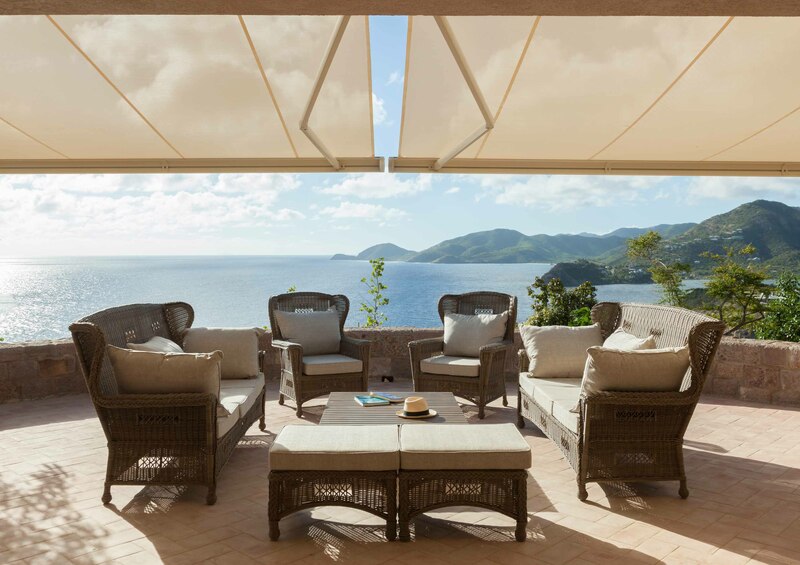 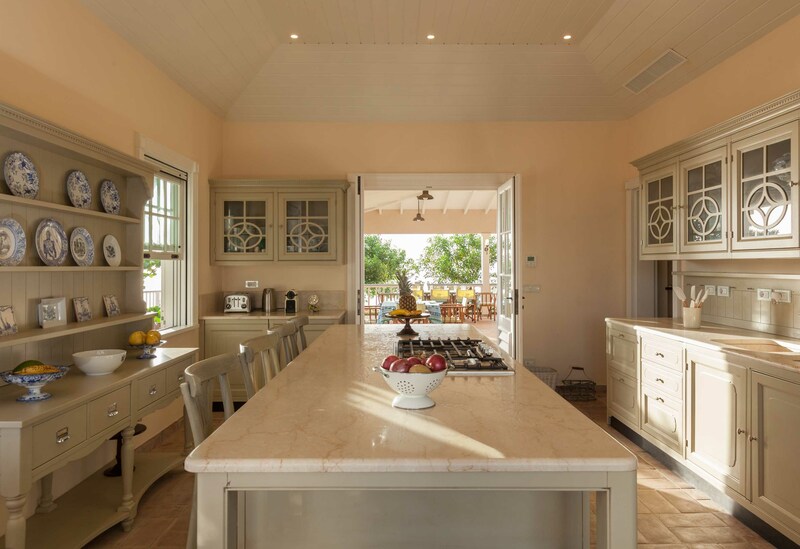 The villa is available as a vacation home with 4, 6 and 8 bedroom options. 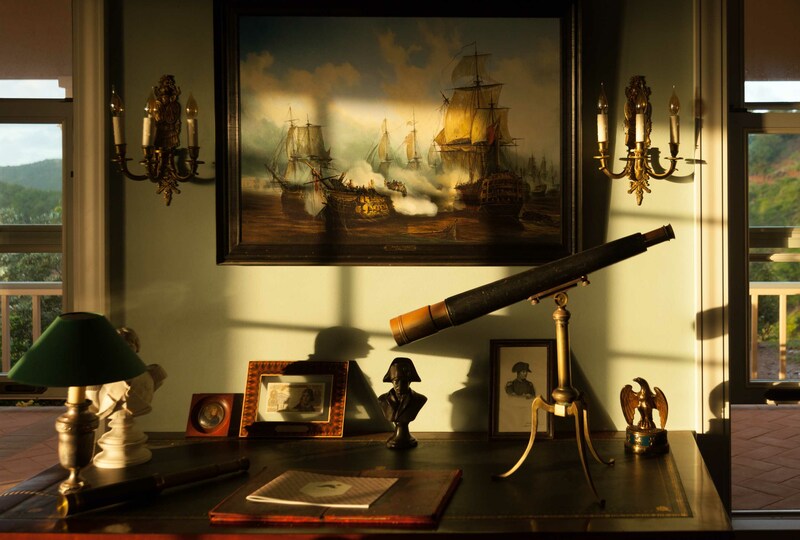 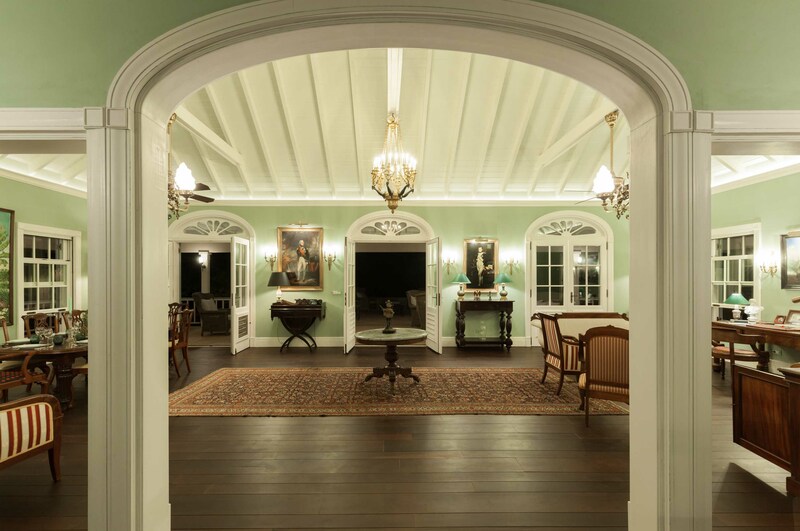 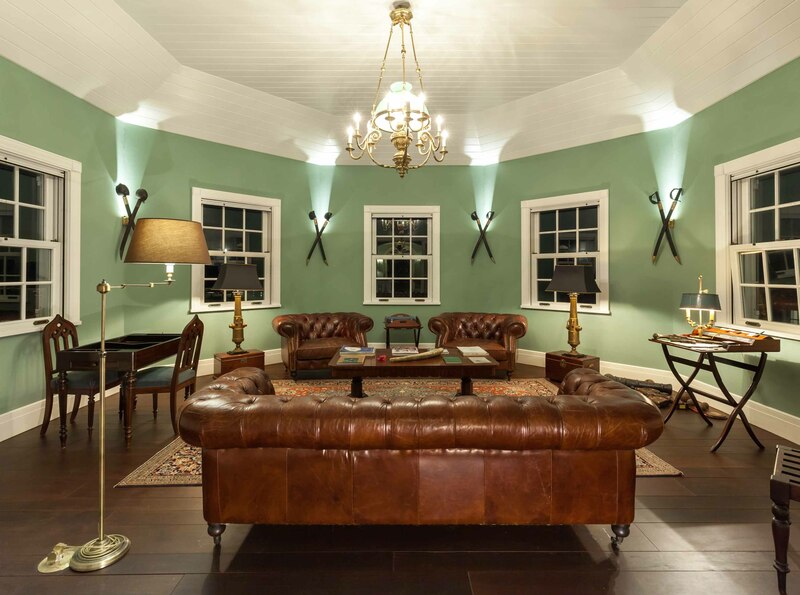 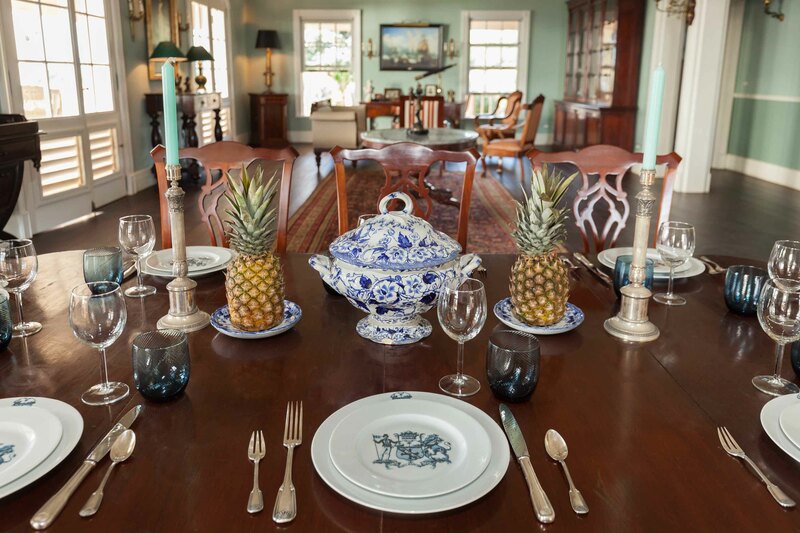 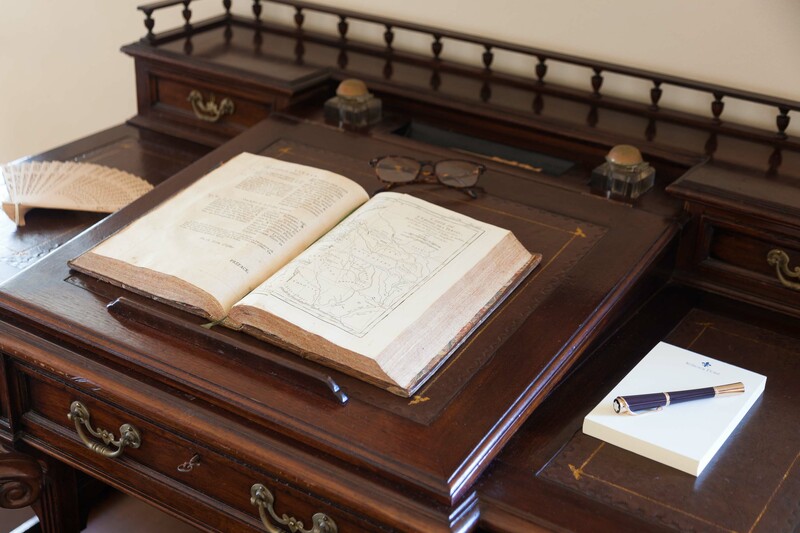 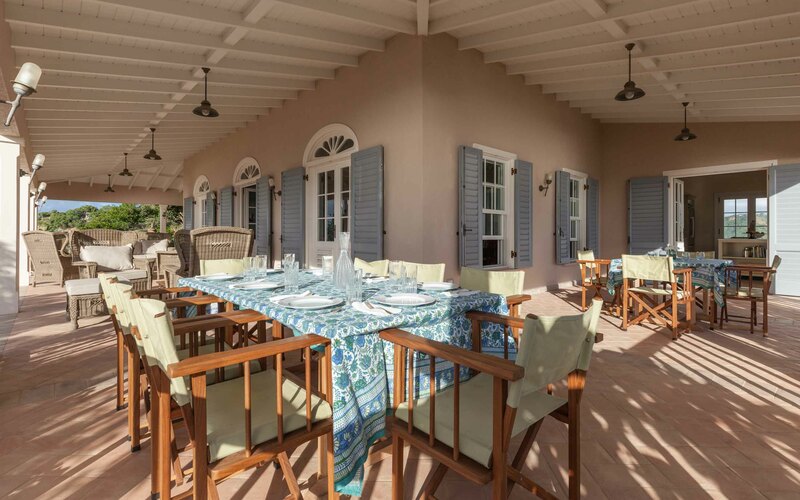 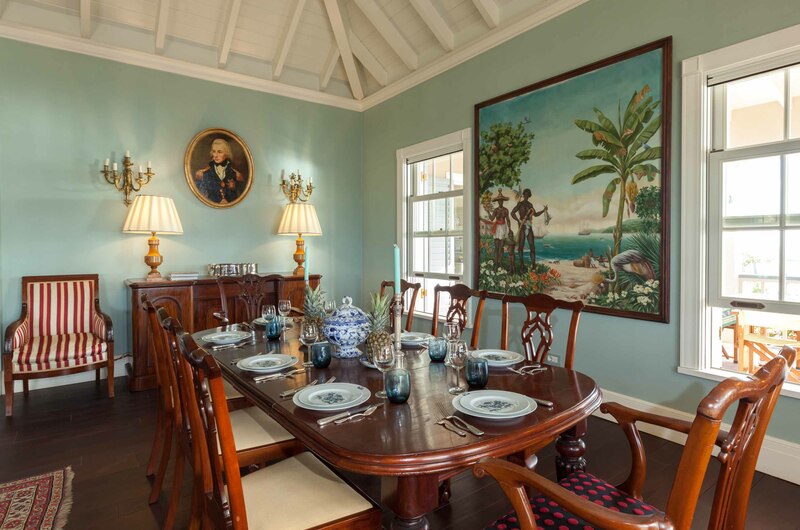 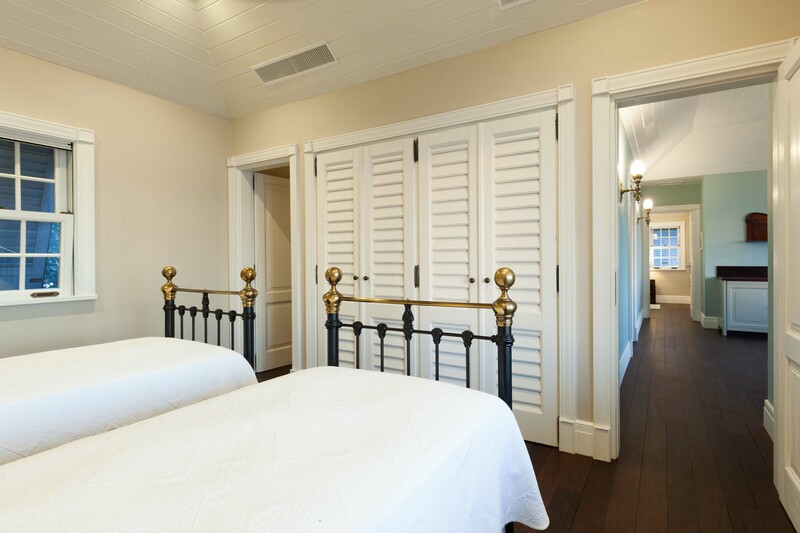 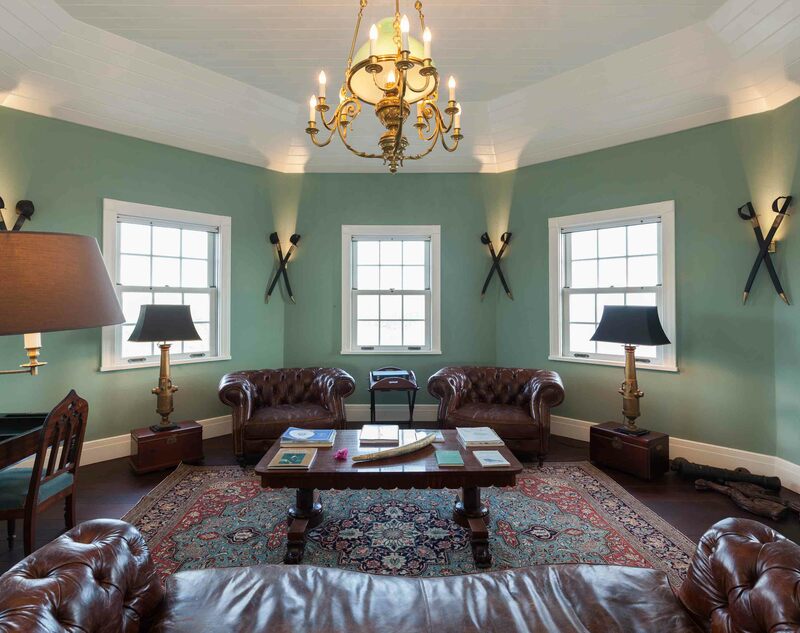 It provides an ideal accommodation for those who love colonial history as much as the owners, families and group of friends, during regattas, as well as the perfect spot for events such as weddings or film shootings. 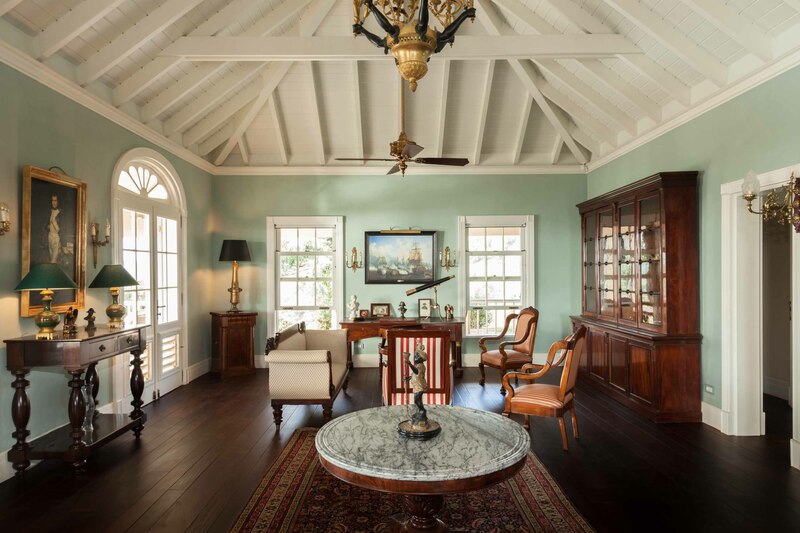 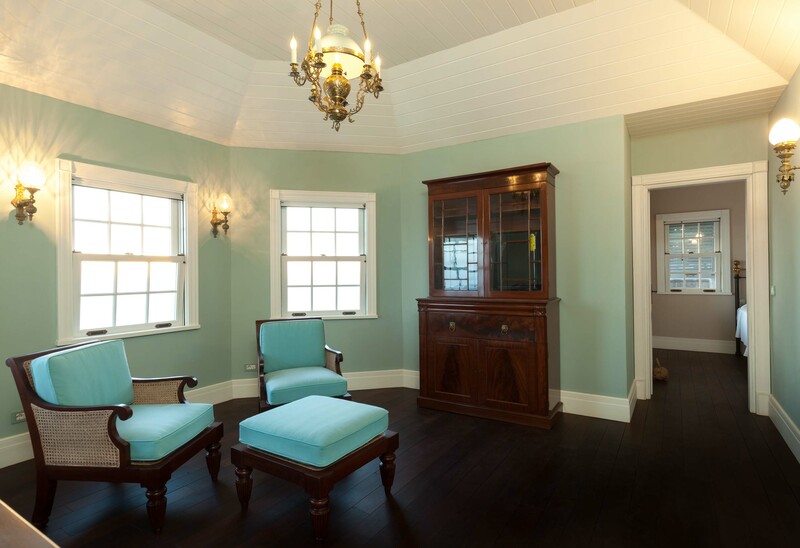 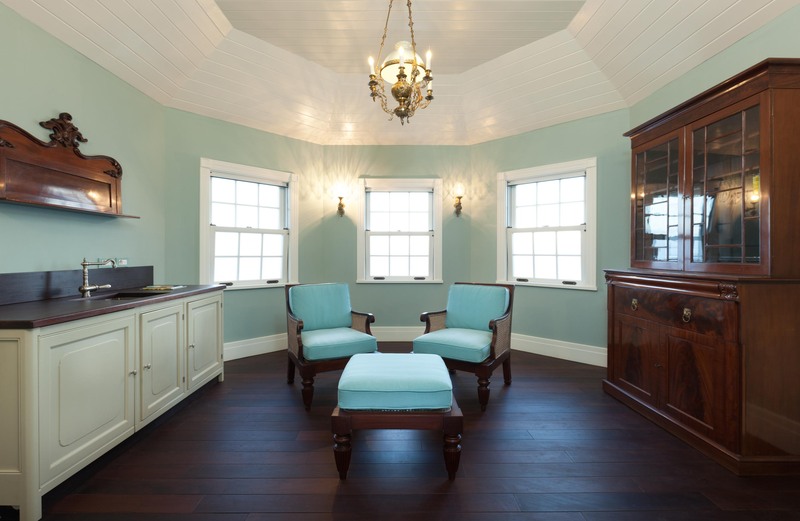 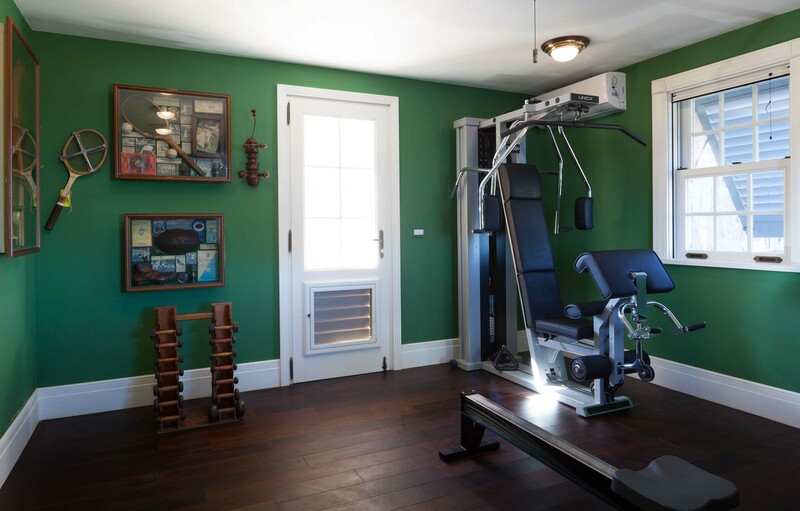 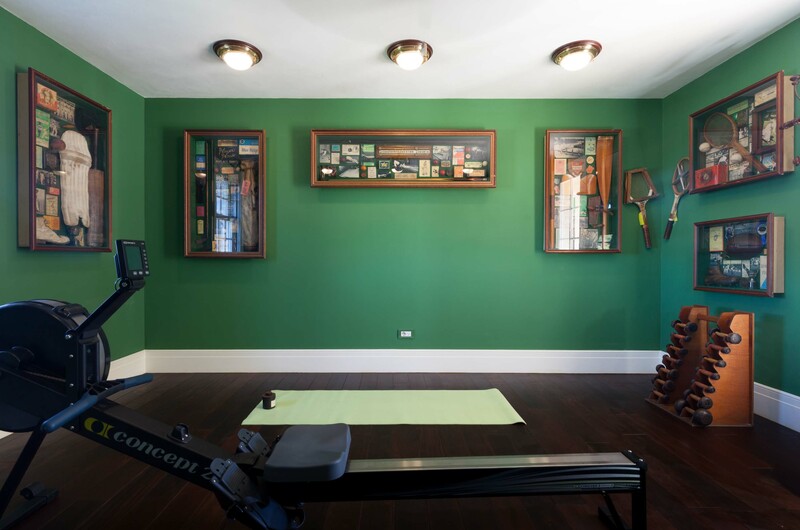 This home will leave everyone astonished by its beauty and colonial historical charm. 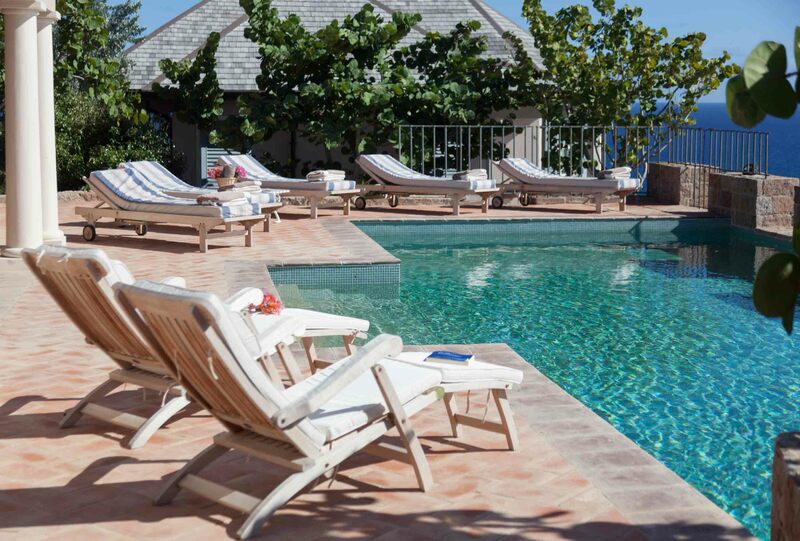 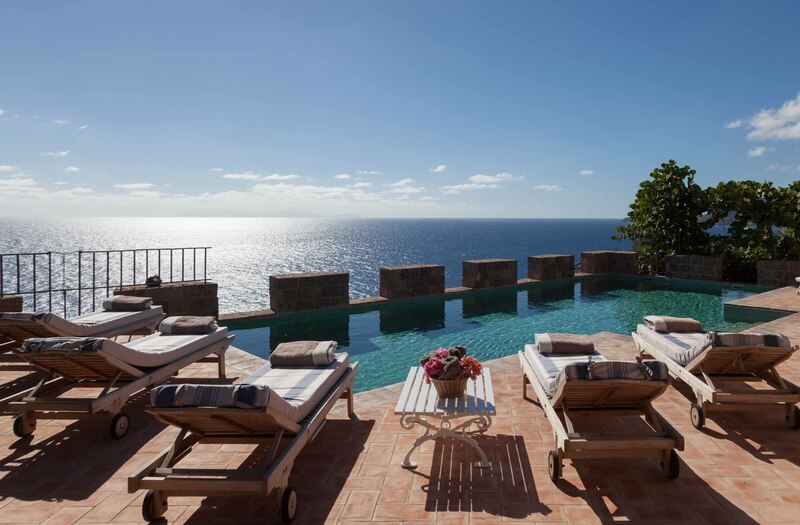 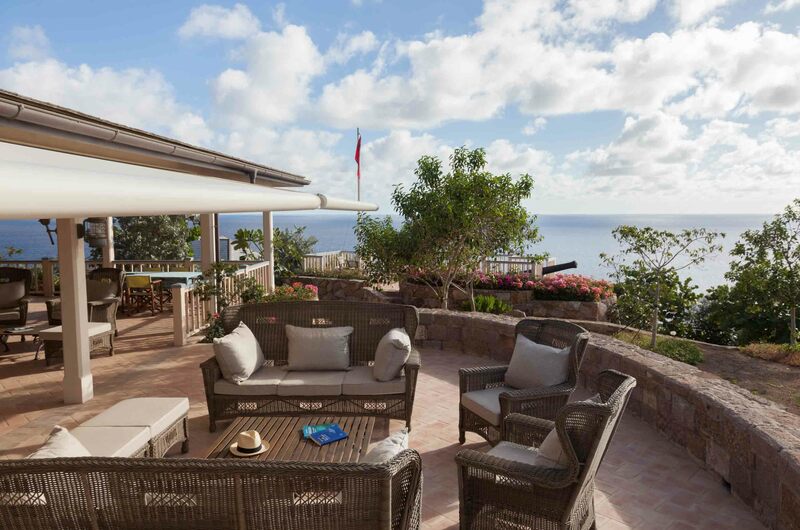 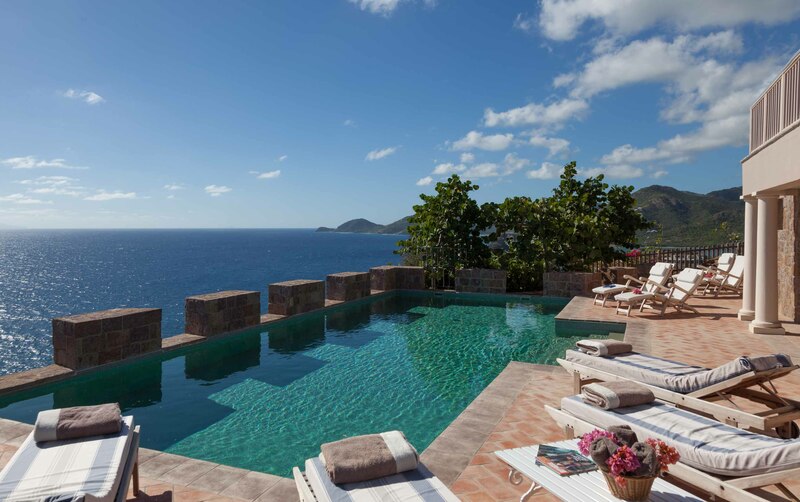 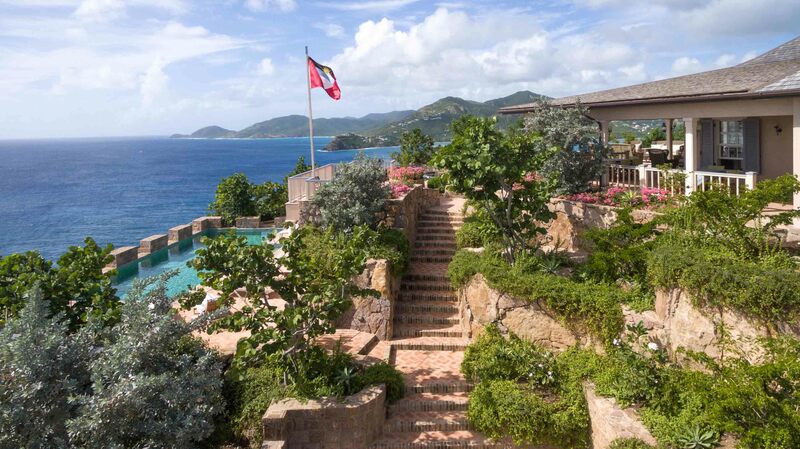 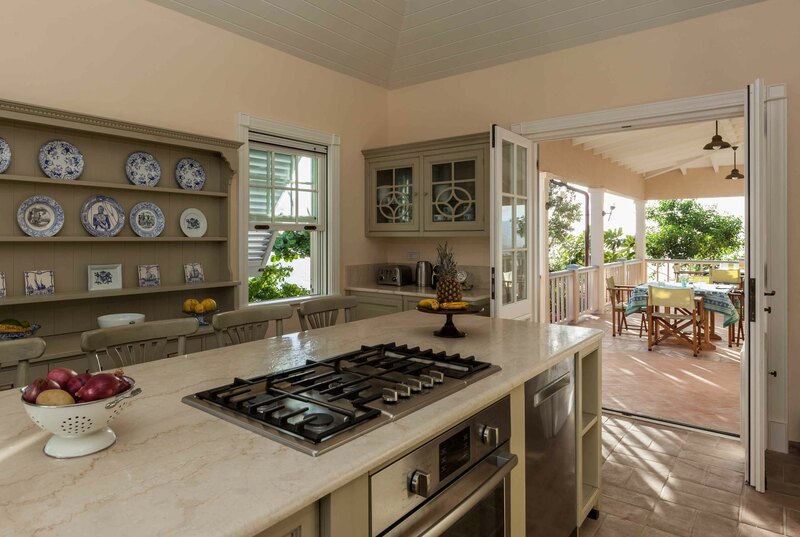 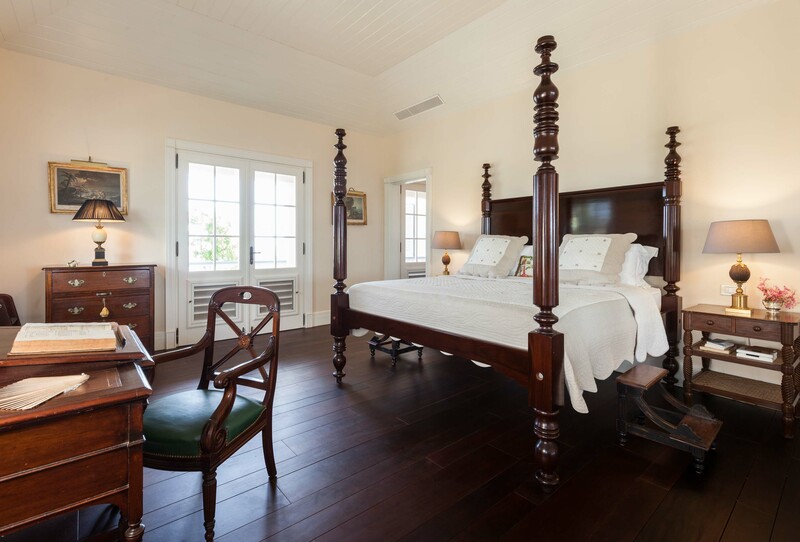 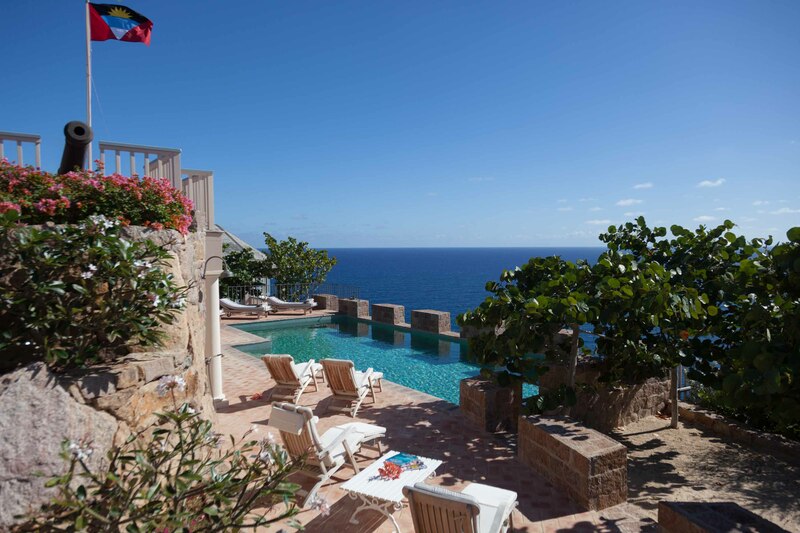 All bedrooms of this Caribbean holiday retreat are sophisticated; their furnishing is elegant. 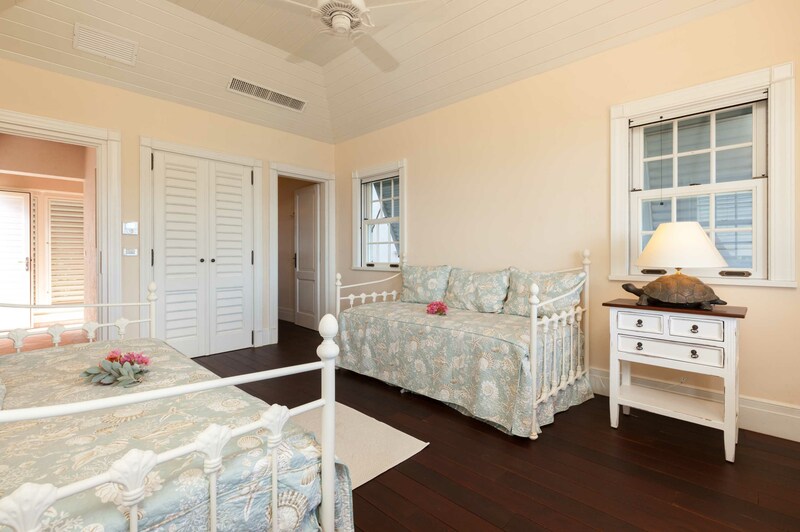 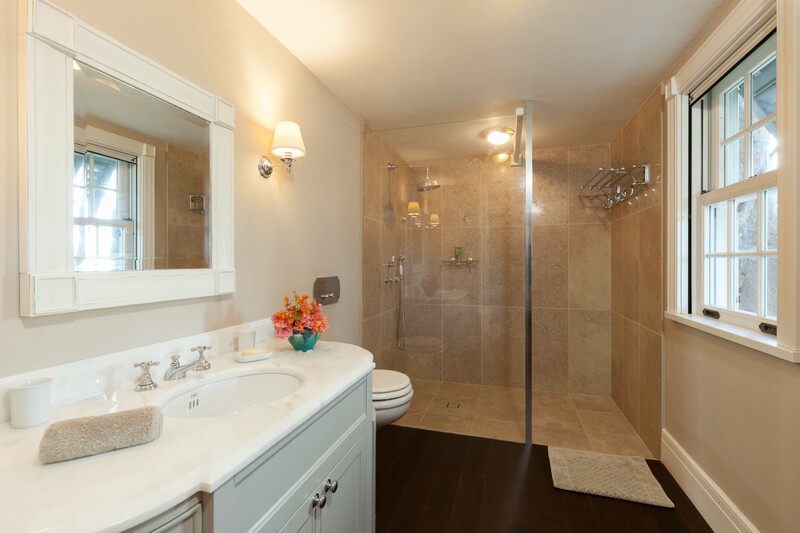 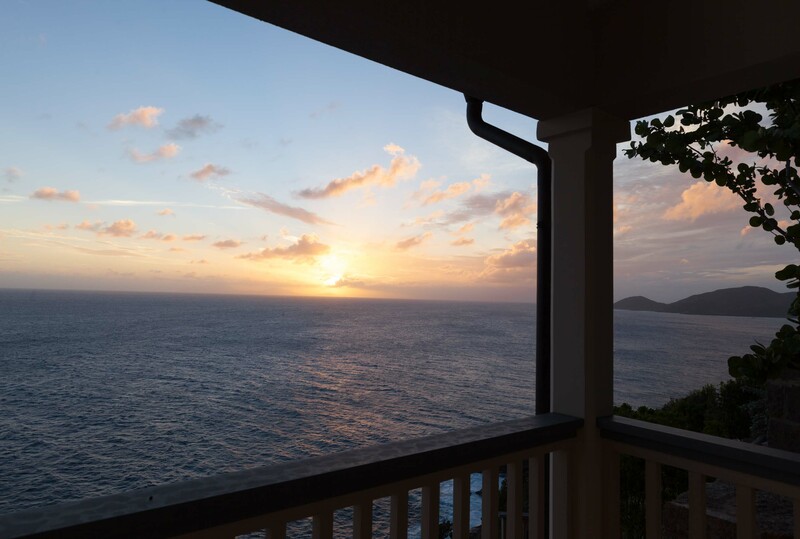 Each has private bathroom, ceiling fan and A/C, a veranda and / or balcony, and sea views. 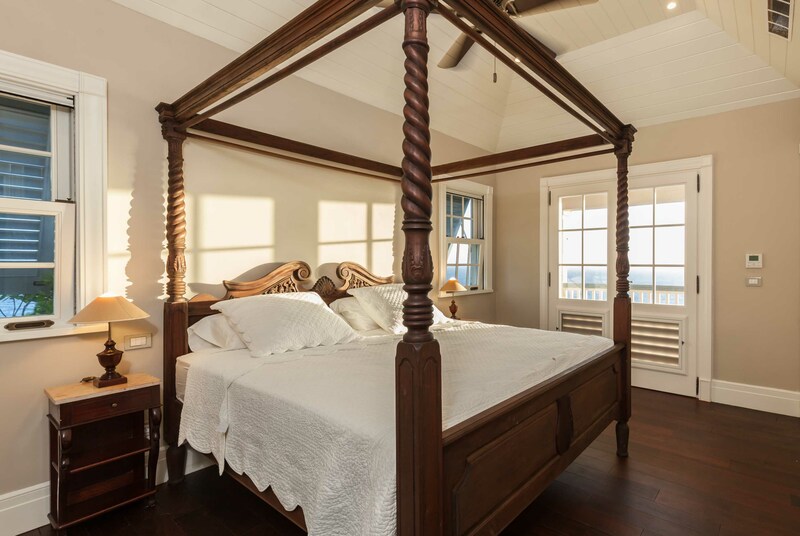 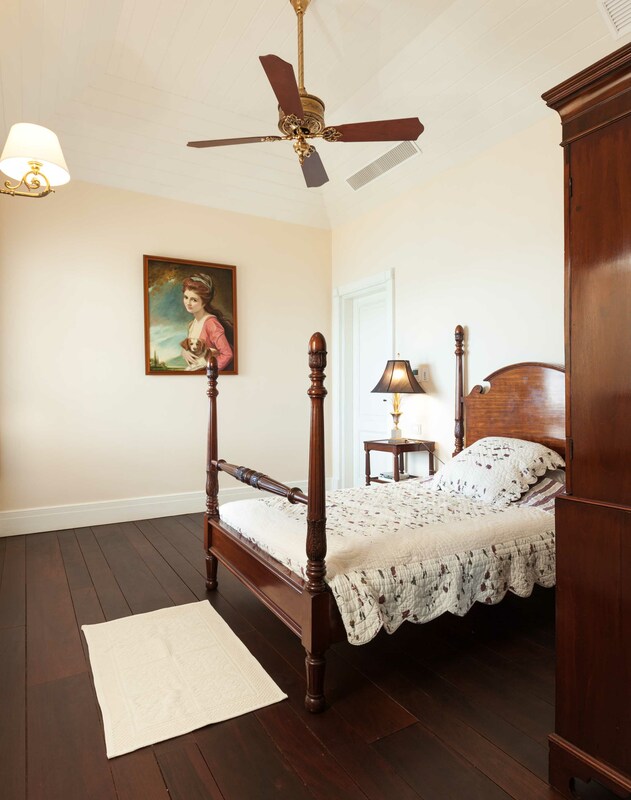 Two bedrooms are located on the main level, one bedroom is located on the lower level, and last bedroom of the main house is located in the “Grenier” (or attic). 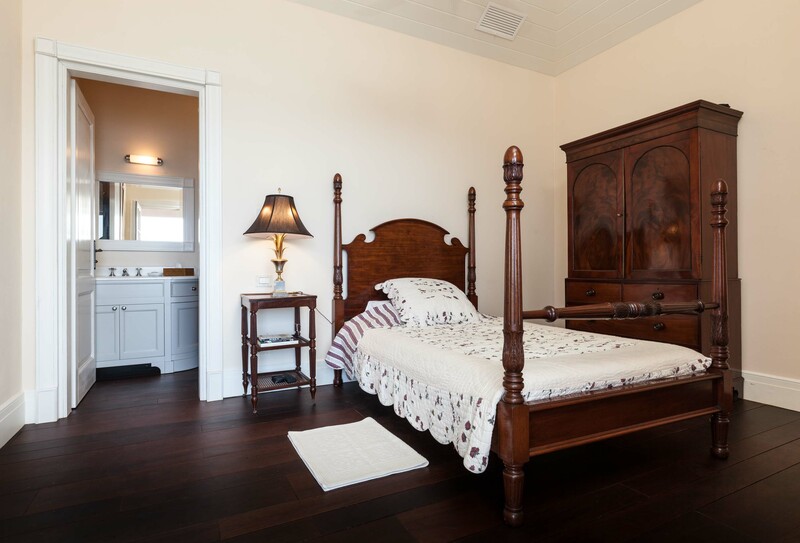 Two bedrooms are located in the Guest Cottage, and two bedrooms are located in the Children Cottage. 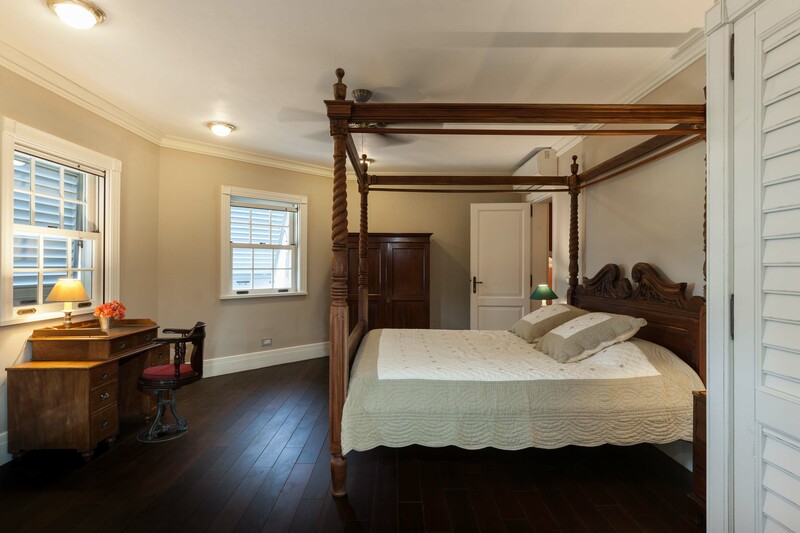 Bedroom 7 – Children Cottage - King size bed wit private bathroom including shower, and veranda. 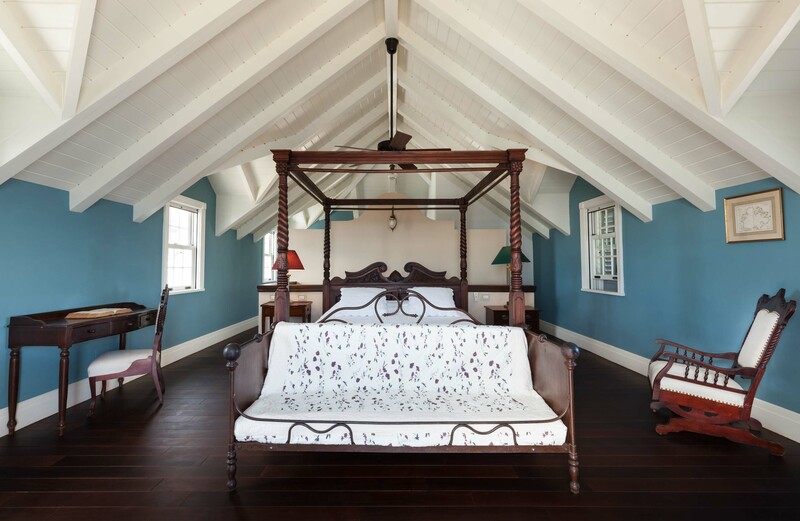 Bedroom 8 – Children Cottage - Two daybeds with trundle (suitable for adults also) with private bathroom including shower, and veranda.